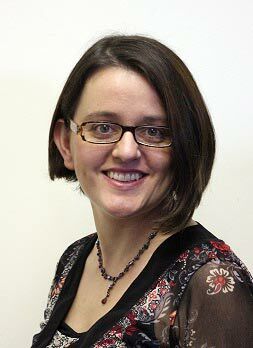 Colette has over 20 years experience as a market researcher gleaned here and abroad. She leads a team with over 75 years combined experience. She has worked for the biggest research agency in the world in London and Germany working with global brands managing multi-country quant and qual studies for the likes of Coca Cola, Unilever and Gillette as well as managed big research budgets when she was Head of Consumer Insight at Vodafone Ireland and Musgrave Retail Partners Ireland Ltd.
Colette has a no-nonsense commercially focused attitude to research and how it should be used to drive growth and inform decision making within a business. She is also an experienced business mentor, mentoring for Enterprise Ireland as well as lecturing at many innovation hubs & start-up programmes around the country. She always brings passion, energy & lots of positivity to every project & is not afraid to challenge the status quo. She doesn’t sit on the fence and her debriefs are always engaging, thought provoking, decisive and above all action oriented and focused on growth. A real insight into Colette: She makes a mean vodka jelly & claims she won her first Irish dancing medal at 4!! 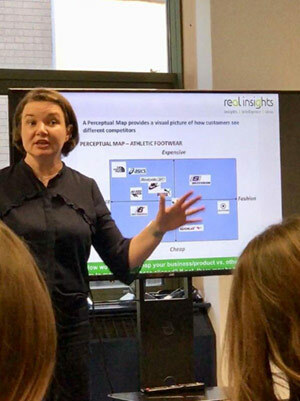 Roisin Bell has fifteen years’ experience as a consultant and as a successful entrepreneur and has been collaborating with Real Insights on projects since 2010. 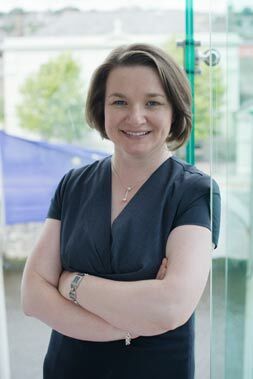 Roisin set up KnowledgeWorks, her own market analysis consultancy, in 2001, and won the Mallin Invent Start-Up of the Year Award in 2003. 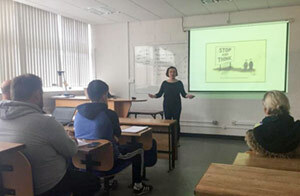 Roisin’s experience is across a wide range of business sectors. Her goal is to deliver high-impact market intelligence and work with the client to strategise in full understanding of the market in which they are operating. Some of Roisin’s clients have included blue chips such as Ulster Bank, Mintel and AIB; organisations such as Cork Institute of Technology and Temple Bar Cultural Trust as well as a wide range of companies at an early stage of business development. Some smaller businesses KnowledgeWorks has worked with recently are: WhatSalon?, Greasan na Mean, LoyaltyBuild and Val-PM. Roisin’s first degree is in French and European Studies from the University of Ulster, and her masters degree is in Information Studies from the University of Wales. 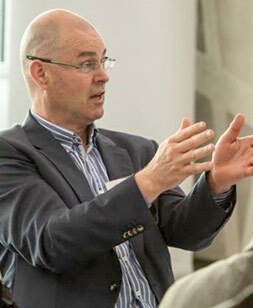 Will Hogan is a seasoned entrepreneur with over 30 years of being in business from start-up to scaling up and has experienced many successes and failures on this journey. This entrepreneurial journey has contributed to his multidisciplinary knowledge of business and includes market research skills to identify new opportunities, the ability to design creative solutions and project manage to market. Will is also an Associate Faculty Lecturer at the National College of Ireland and has designed and delivers the MBA capstone module in Business Simulation. Will has a B.Comm from University College Dublin and a MBS in International Entrepreneurship from the University of Limerick both of which add academic rigour to his entrepreneurial consultancy and practice. Will completed his thesis on family business dynamics and also advises and educates family business owners and couples on family business related issues. A real insight into Will: He is a big fan of the Wild Atlantic Way and is on a staged journey to hike, bike and paddle this long and winding coastal route. Next stop Donegal.